Fund for Others is a program initiated by Zvonimir Dobrović and Bruno Isaković to raise money to support artistic and activist projects and education of individuals whose work and ideas offer an inspiration and empowerment within their own communities. We have been witnessing numerous ways in which creativity by individuals, groups and organizations from all around the globe change people’s circumstances immensely. We have also learned that no impact is too small when it comes to supporting others. The work of so many people who truly believe in solidarity and have a genuine desire to bring something good into the world has inspired us to think of our own possibilities to generate more of that energy in everything we do. Therefore, we are setting up this program with the intention to offer a space for everyone to be able to help others. This fund uses several activities through which it generates resources to fulfill it’s mission and goals and you can learn more about different ways in which we solicit and involve others to help others here. The first activity that we are looking forward to which will start this fundraising is our own wedding on May 27, 2017 and we ask our guests not to worry about wedding presents. We invited our guests and also everyone else to help us celebrate the start of this fund as well as our love for each other by supporting Fund for Others in any way they can. Nothing would make us happier than to know that you supported Fund for Others. Just as it feels great to be in love, it feels great to help others. Everything raised will be distributed to those whose projects and ideas work towards a more accepting, creative and generous world. BIRCA iz Danske u suradnji s Fondom za druge / Dominom i S.E.A. iz Hrvatske organiziraju rezidencijalni program razmjene hrvatskih i danskih umjetnika/ca. Ljetna škola umjetnosti i aktivizma će se održati u Grožnjanu od 5. – 12.9. 2018. u suradnji sa zagrebačkom Akademijom dramske umjetnosti. Program škole ostvaruje se uz podršku Istarske kulturne agencije. Pozivamo vas da nam se pridružite na ovom dobrotvornom koncertu čiji prihod od ulaznica ide u korist Fonda za druge kako bi se osigurao kontinuiran program podrški. Koncert se održava u Muzeju suvremene umjetnosti 11.6.2018. u 20 sati. U četvrtak, 31. svibnja je po drugi puta uručena Nagrada Nada Dimić. Ovogodišnji dobitnici su kazališni režiser Oliver Frljić i novinarka Sanja Despot. Mina Ćirić, redateljica i dramaturginja iz Srbije uz podršku Fonda za druge će sudjelovati u dvotjednoj ljetnoj školi koja je dio Epidaurus Festivala u Grčkoj. Mina Ćirić je mlada umjetnica čiji su radovi igrani u Srbiji i Švedskoj te koja je napisala i režirala brojne drame. U svom radu se često bavi temama marginaliziranih te ranjivih društvenih skupina. 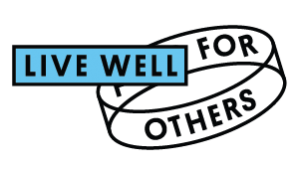 Fund for Others is a program that is dedicated to art, activism and education. It is a program that seeks community and private support in order to enable widest possible participation in its development so it can focus on projects and needs by artists and activists that would sometimes fall outside traditional funding networks. Fund for Others program is launched in May 2017 and is supporting individuals and groups from Croatia and abroad. Below is an example of projects and partnerships we are dedicated to at the moment. The projects are developed in partnerships, per calls for proposals as well as direct invitation. We are constantly developing other partnerships and possibilities in different geographical regions and are inviting potential partners to let us know about possible new lines of support. 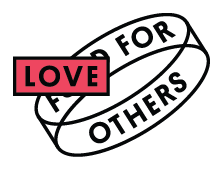 Fund for Others is managed by Domino, a Croatian based NGO with 15 years of experience in producing and supporting international and local artists and activists. Summer school for performing arts and activism in Grožnjan will take place for the second time from 5 to 12 September 2018. and it will again bring together up to 15 participant from the Balkan region. They will have a chance to experience intense workshop schedule with established performance artists and practitioners. Workshops will cover topics such as: conceptualisation of the work, artistic practice within social and political instability, creative producing, community organising, etc. In partnership with a range of organizations. The aim is to provide support for those ideas (by individuals or groups or organizations) that are unconventional in approach in addressing some artistic or social current issues and which would not usually be supported by current available funding bodies in Croatia. In partnership with diverse range of organisations / individuals. Up to 25 artists and / or organisations from around Croatia will be able to benefit from this mentorship and education program. This is an exchange program between Croatia and US and will facilitate artists from Croatia to spend up to three weeks in New York as well as artists from the US to spend up to three weeks in Zagreb. The residencies will be focused on artistic research which would include a public presentation of the artists' work as well as the discussion on the results of the residency research. One of the conditions to participate is that the artists have previously not been to the country (USA or Croatia) they would be going to. Continuous artistic and activist education is an important part of being able to follow current trends and develop new ideas that could be transformative in a certain environment. This strand of the program would provide partial or full support for a diverse range of studies and educations for individuals. The first recipient of this support is Josh Serafin, first ever dancer from Philippines to be accepted to study at P.A.R.T.S. School for contemporary dance in Brussels. In order to generate continuous stream of resources towards Fund for Others we are organizing year round activities that have a diverse range of supporters and partners. 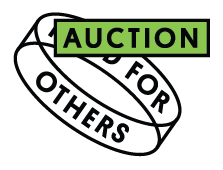 Up to 30 items that include art works, collectible items of different sorts, unique experiences and surprises will be auctioned off to provide means to continue our dedication to artistic and activist endeavors. With a range of partners, friends and organizations, we are putting together parties, luncheons, events around the world that are raising awareness and money for Fund for Others. Just like Fund for Others started with the idea that we use our own wedding party to invite guests to donate money to the fund instead of buying us gifts, we are working with couples who wish to do the same and use the momentum of their big day to support others. An innovative strand of fundraising for Fund for Others, currently still in development. The idea is that individuals can pledge a certain time during which they monitor their own expenses. For whatever period of time they choose (day, week, month, etc.) they pledge to donate whichever amount of money spent during that period for their own non-essential expenses. If you can afford an expensive bottle of wine in a restaurant, match that expense with a donation to Fund for Others and make a difference and make your own spending taste that much better. Zvonimir Dobrović is the Artistic Director of Domino, which he founded in 2003. 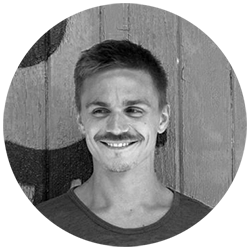 In that capacity he is responsible for curating and producing several festivals in Croatia and internationally, most notably Perforations – week of live art , Queer Zagreb Season, Queer New York International Art and Sounded Bodies festivals. 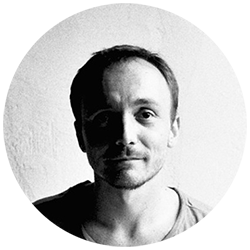 Bruno Isaković is a performer, choreographer and teacher living in Zagreb, Croatia. He graduated with a degree in contemporary dance from Amsterdam School of the Arts in 2009. He is Artistic Director of Sounded Bodies Festival taking place annually in the fall in Zagreb, Croatia. © All rights reserved, Fund for others 2018.